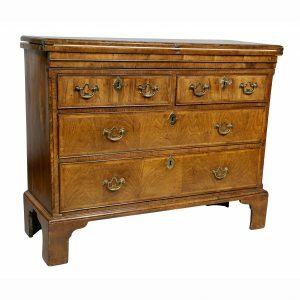 With serpentine top over three drawers with original handles and a carved floral pierced apron raised on carved scrolled feet. Provenance; Fogg Estate, Chestnut Hill, Mass. In good condition with a crack across the top of the piece. It has a nice shape and color. Its wear is consistent with age and use.